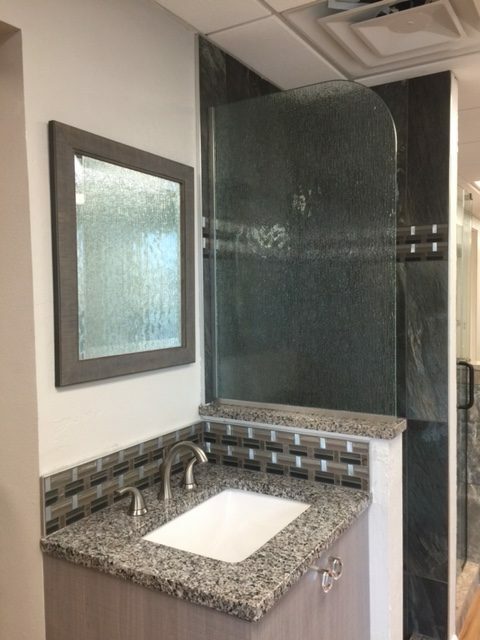 Whether you are remodeling or building your new bathroom, call Charlotte County Glass when deciding how to design your shower or bathtub. 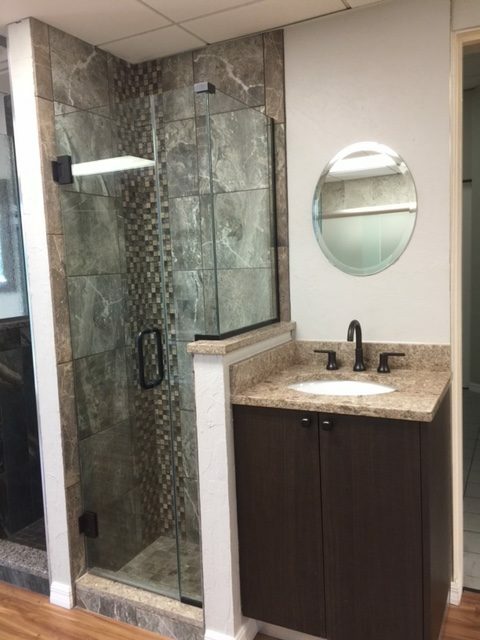 You can turn your bathroom from standard to luxury by selecting the right type of shower or bath enclosure. 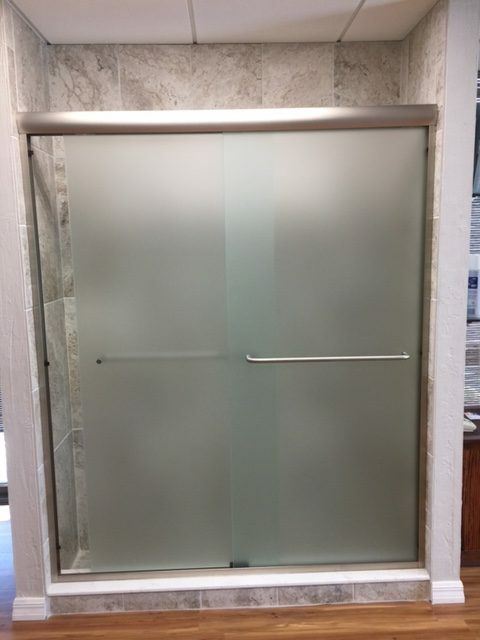 From custom frameless glass enclosures to sliding glass doors, Charlotte County Glass has the design options for you. We have been servicing all of Port Charlotte and surrounding communities for over 23 years. Our experienced and knowledgeable staff is here to help you design and create the shower you have always dreamed of having. Sliding Glass Shower Doors– We offer new or replacement, standard or custom sliding glass shower or bathtub doors. 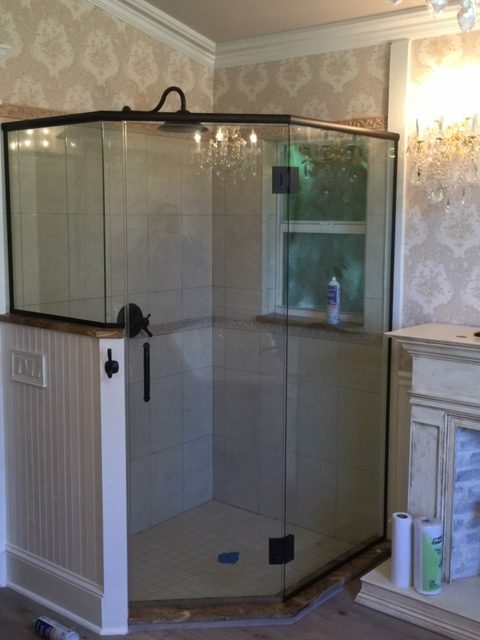 Aluminum and Glass Enclosure– We offer new or replacement aluminum and glass shower enclosures. Can be designed with standard or custom glass panels. 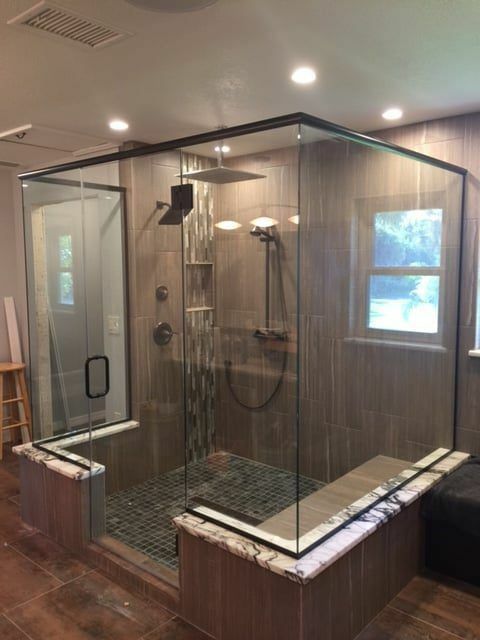 Frameless Glass Shower Enclosure– We offer new or replacement, standard or custom frameless glass shower enclosures for a classy elegant look. 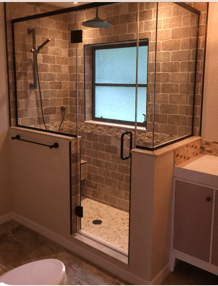 Glass Bathtub Enclosures– Don’t feel like you have to use a shower curtain if you have a bathtub. 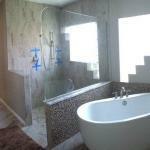 We offer new or replacement, standard or custom glass bathtub enclosures.